If you watch Insecure, Issa Rae’s excellent HBO series, you know the music of Raphael Saadiq, who has scored it since it debuted two seasons back. 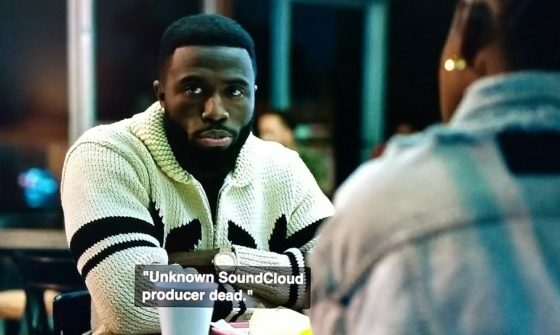 Part of the impact of Saadiq’s work on Insecure is how the back beat of the show works seamlessly with whatever the characters might themselves be listening to. The latter is the craft of music supervisor Kier Lehman. Sometimes the distinction is entirely unclear, much to both Saadiq and Lehman’s credit. And this season of Insecure, its third, music production is becoming a narrative tool of interpersonal ambiguity. Just moments earlier, Daniel had beatboxed into the ear of Issa’s character at a nightclub. His stated intent was to layer his sense of what would enrich the music of the performer they were witnessing at that moment, were they to every collaborate. However, in order to be heard over the club, Daniel had to lean extra close to Issa to do his beatbox impression. It’s a rare feat for beatboxing to signify subconscious intimacy and compositional refinement, even more so for those to occur simultaneously. An especially artful moment came at the close of the episode (“Familiar-Like,” the new season’s second). Daniel is at his production desk. Issa walks to him from the living room while music plays. It’s the music Daniel’s making, but it’s also the moment’s music: relaxed, sophisticated. The ambiguity is rich. Is he doing work or sending a message? Is she helping or replying? The show doesn’t tell us directly, because the characters don’t know either, and that’s the point. Music in filmed entertainment all too often tells the audience precisely what to feel. Here it’s accomplishing something much more complicated.